Answers to some of the more frequently asked questions. Country Montessori School is a 501(c)(3) non-profit organization, and is a Full member of the American Montessori Society. Our Federal Tax ID is #33-0363869. All teachers are Montessori credentialed, trained and certified. The school is governed by a Board of Directors which is responsible for setting policy and providing oversight and guidance to the school. The Board of Directors is the guardian of the school’s mission. It is the board’s responsibility to ensure that the mission is relevant and vital to the community it serves and to monitor the success of the school in fulfilling its mission. The board assures that the school and board operate in compliance with applicable laws and regulations. The board accepts accountability for both the financial stability and financial future of the institution, engaging in strategic financial planning, assuming primary preservation of capital assets and endowments, overseeing operating budgets, and participating actively in fund raising. You can arrange a tour with our Director of Admissions and Enrollment to see for yourself. Tours are given in the morning and can be arranged by calling 858-673-1756 x 107. Children must be 2 years and 6 months AND they must be toilet-trained, before starting CMS. Sometimes children at this minimum age are not ready for a school atmosphere. The Director of Admissions and Enrollment will meet with your family and child(ren), and provide you with guidance prior to enrollment. Country Montessori School has the capacity to hold 165 students. We have three Early Childhood (Preschool and Kindergarten) classrooms with mixed ages 2.5-6 years of age. We keep within the California State ratio of 12:1. Our Lower and Upper elementary classrooms have a 10:1 ratio. All students attend 5 days a week (Early Childhood included). The Montessori education system was designed around the premise that children are provided ample time to practice lessons, observe, work with their peers and teachers. Children learn to master a lesson through observation and practice. The child in a Montessori program builds on their foundation of experience and confidence to move on to other challenges in the classroom. Everyday, the Montessori teacher has scheduled lessons with each child one-on-one as well as in small groups. Country Montessori School is a serious education institution and not a childcare facility. Parents who become knowledgeable of and embrace the principles of Montessori support their children by ensuring they arrive at school everyday on a punctual basis. Country Montessori School abides by the Poway Unified School District Calendar to facilitate family organization. Childcare is provided on the most of the days when school is not in session. The cost is $45 for a full day and $25 for 5 hours or less. Early Childhood (Preschool and Kindergarten) hours are 8.30 a.m.- 12.30 pm half day or 8.30 am to 2.30 pm full day. Elementary hours are 8.30 a.m.-3 pm. Childcare is provided outside school hours at $7.00 per hour. 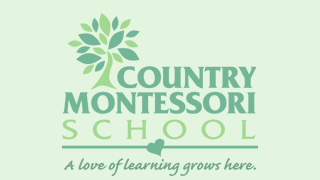 Country Montessori School offers a before and after school program. Morning Child Care is available from 7:00 to 8:00 and the afternoon program begins at 2:30 and is available until 6:00 p.m. We have a dedicated and enthusiastic Childcare staff that is responsible for playground supervision and indoor activities. An afternoon snack is provided after 4:00 p.m. Lunches are not included in the price of tuition. Due to the special needs or diets of children, parents provide lunch for their child. Parents are expected to send lunches that reflect good nutrition. Lunch options, provided by local restaurants, are also available by special order. We have lots more information around this website. If you have any questions you can’t find an answer to please Contact Us to talk or schedule a tour with our Director of Admissions and Enrollment.